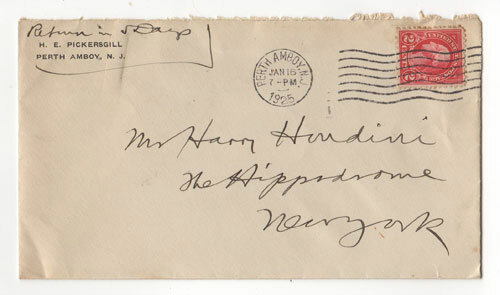 Envelope found in Houdini's desk with BPOE Elks association! 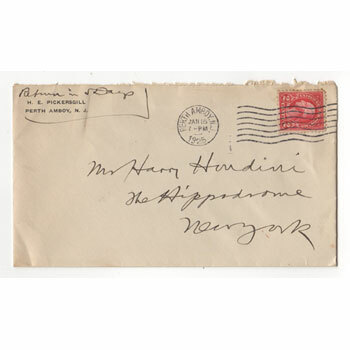 Envelope found in Houdini's desk sent from Judge H.E. Pickersgill, prominent BPOE leader! 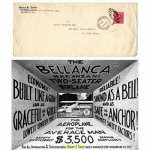 It is postmarked January 16, 1925 from Perth Amboy, NJ. Judge Harold E. Pickersgill was a newspaper publisher and well-known New Jersey state historian. He was also the first president of the New Jersey State Elks Association. 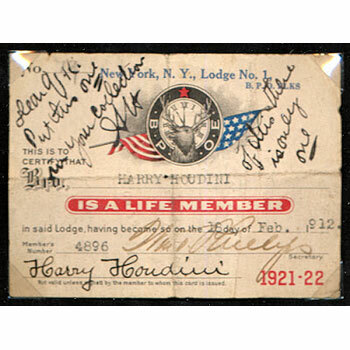 Houdini was Life Member #4896 of Elks Lodge #1 in New York City, and he had an extremely strong tie to the Elks organization. In fact, the Elks were so important to Houdini that after his death, Houdini's body lay in state on November 4, 1926 in the main room of the Lodge just before being taken to Machpelah Cemetery. You can read more about Houdini's association with the Elks here. 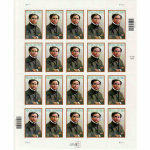 This is a standard size envelope (about 6.5" x 3.5"). It's old, it's been through the mail, it's yellowed. Does NOT include the membership card. The photo of the membership card is shown for illustration purposes ONLY. Q: Is the Elks life membership card also included or only the envelope? A: You are purchasing the envelope only. The membership card is NOT included.